The Queen’s Awards for Enterprise is a leading UK business award that you might have heard about, but don’t know where to start in knowing if you truly stand a chance of becoming a winner. Well, I’ll let you into a secret; the awards are rigorous, but certainly not impossible to win — so long as you fit the criteria for the chosen category and sub-category, have a compelling narrative, and can tie up your strategy, your story, and your results in a way that shows you are outstanding. These are one of my favourite awards to advise on and write, I love the challenge of making the complex simple, it’s the linguist in me, but I also love to see good businesses become great, and winning a Queen’s Award will certainly do that! 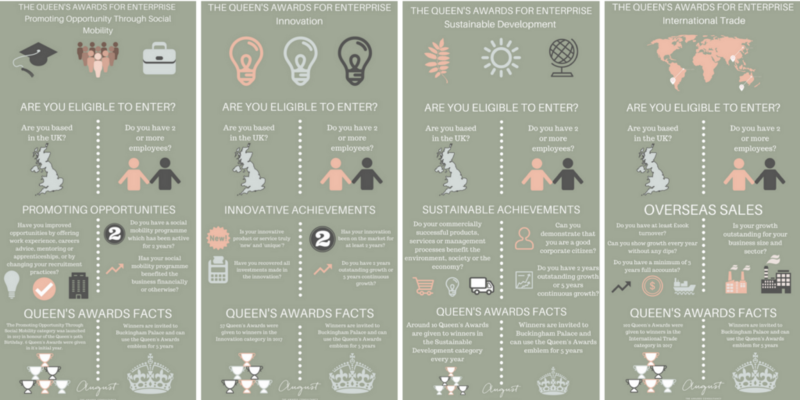 To help you take the first step in deciding which category you could be ready to enter I’ve put together four simple Queen’s Awards eligibility infographics — just click on the links to check your eligibility for each category. If you’re lucky the right category for you is straightforward, but what if your company has innovated a new product, is successfully exporting it overseas, focuses on sustainable business practices and social mobility practices — should you enter all three categories? Or just two? Or focus on one? And how will you position your story and your financial results to give you the strongest chance of winning? There’s no such thing as a ‘typical’ award winner. Winners come in all shapes and sizes ranging from small businesses of just two people with an exciting new product that’s flying off the shelves to businesses focused on making society better, right through to a huge global business exporting around the world and turning over millions. Just take a look at some previous winners to get an idea of the scope of businesses winning Queen’s Awards last year. The Queen’s Awards are open from May to September, but anytime is a great time to start preparing. Start by looking at your end of year results and thinking about whether you have enough evidence of success. 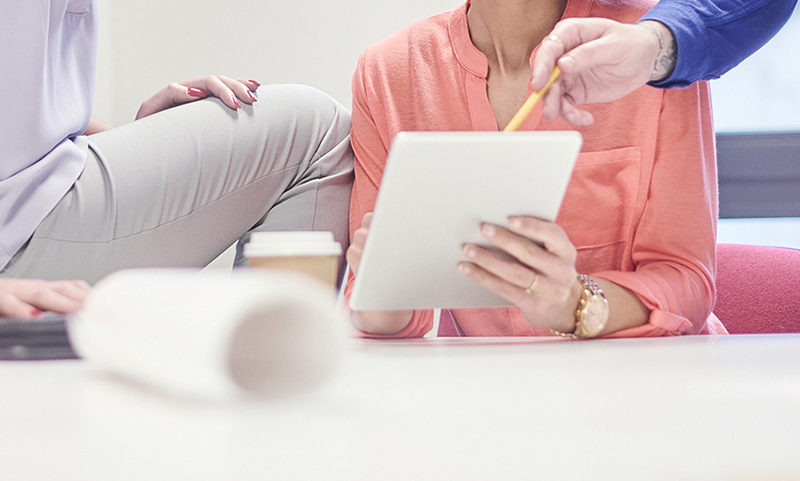 Will you need to gather customer testimonials or work on your CSR initiatives for instance? A winning entry can take a long time to compile, so don’t delay your chances of an award that could really put your business on the global map. Donna O’Toole is an experienced awards expert with outstanding success in The Queen’s Awards for Enterprise competition. Contact Donna for a FREE consultation to find out if you are ready to win.